We arrived around 215pm and they were out of cronuts. The ricotta cheesecake was light and had a nice bruleed top. 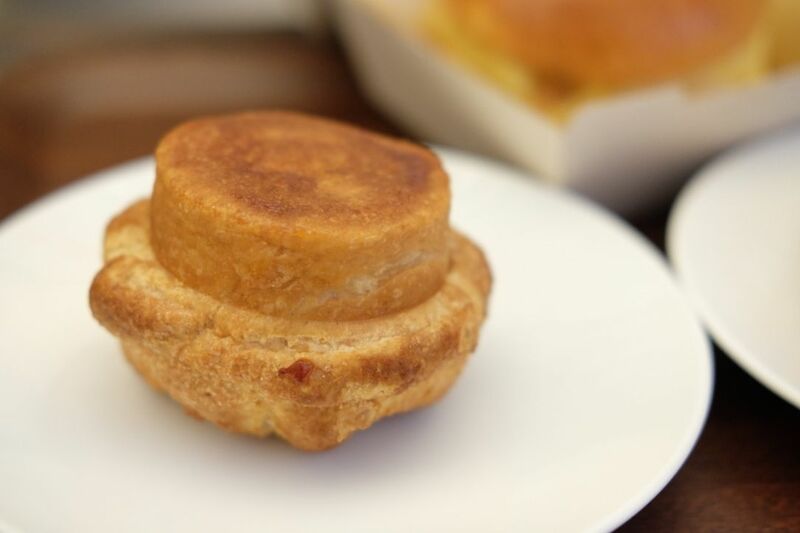 The cheese sits atop a soft almond biscuit and while it was decent, it didn't really leave an impression. The croissant was crisp and gives way to many soft layers. 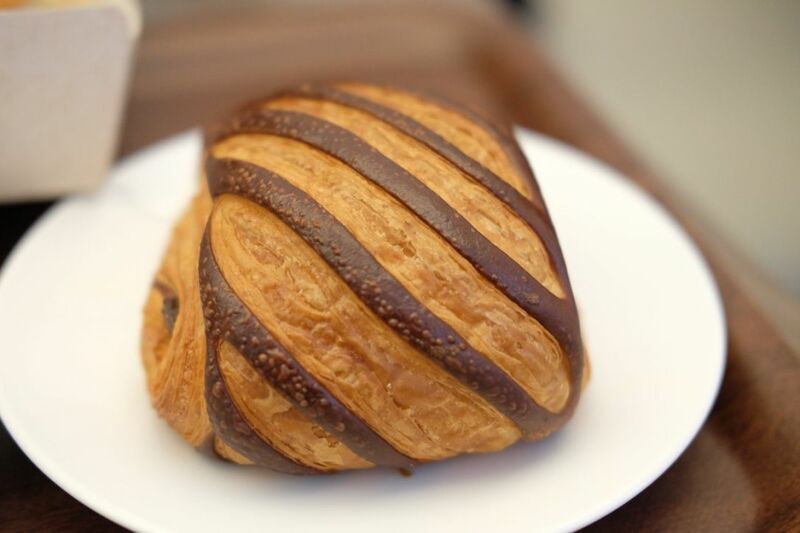 I enjoyed the croissant but wished that there was more chocolate in the middle. 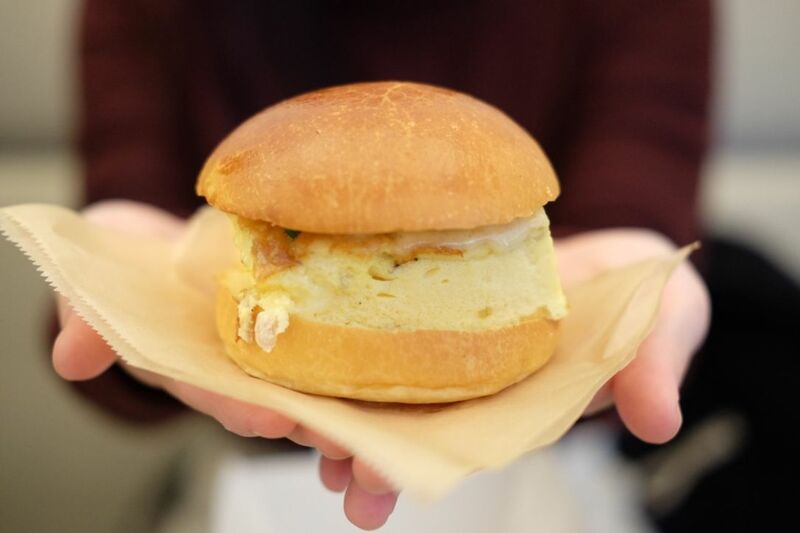 After having the perfect egg sandwiches in Kyoto, I was hoping that the egg sandwich here will blow me away too. The steamed egg was actually quite bland despite the presence of shallots and the thin blanket of gruyere on top. The best bit was actually the brioche bun. 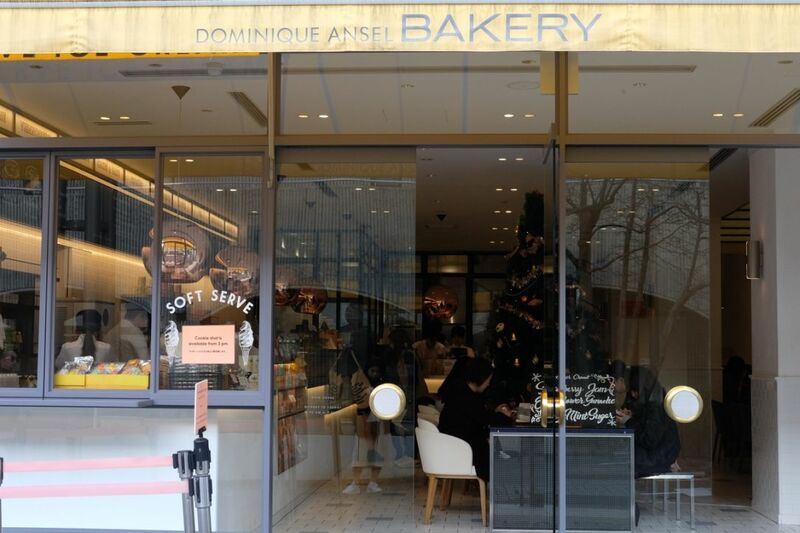 After being spoiled by Gontran Cherrier's Kouign Amann from Tiong Bahru Bakery, I had high hopes for the signature pastry at Dominique Ansel. 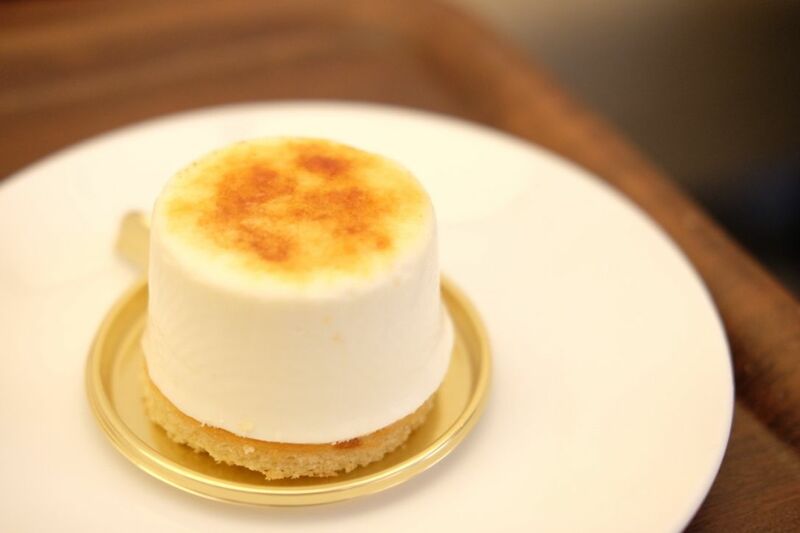 The Breton specialty features a light caramelised crust, fluffy interior and a kiss of fleur de sel. While the crust was enjoyable, I felt that there wasn't enough of that charming flavour to go around the entire pastry. The middle part felt a little dry and boring and lacked the buttery fragrance that I was hoping for. The cookie shots are only available from 3pm onwards and a queue starts forming for them long before the clock strikes three. Most people take them away, and they do come in really adorable packaging. I queued for quite some time to get these two cookie shots. 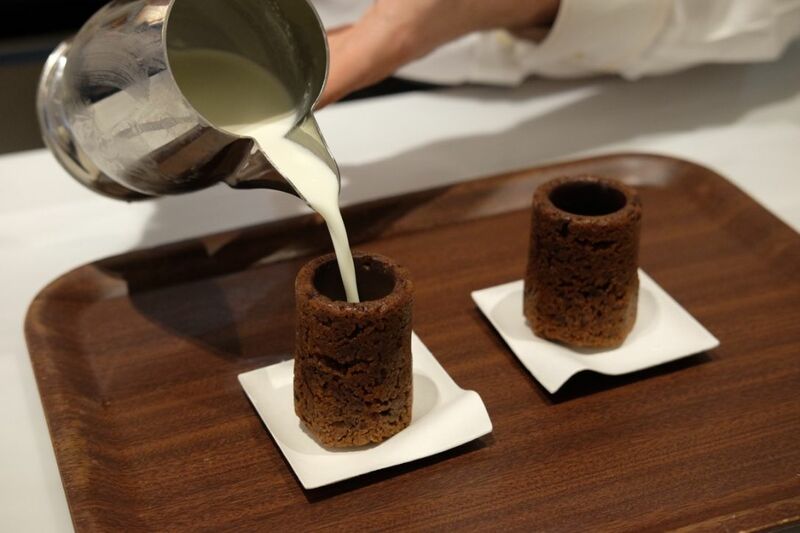 The server pours the cold housemade vanilla milk into the "shot glass" for you and the milk slowly melts away the layer of chocolate that coats the inside of the "glass". Every bite gives you a good mix of chocolate chip cookie, more chocolate and a small mouthful of sweet milk. I'm glad I finally got to try it but if you think that this is going to blow your mind, you might be disappointed. 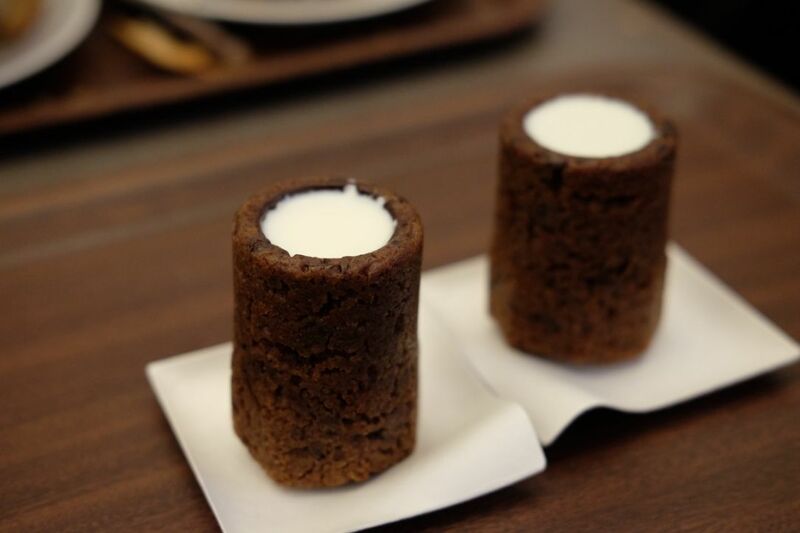 It is afterall, just an elevated rendition of milk and cookies. 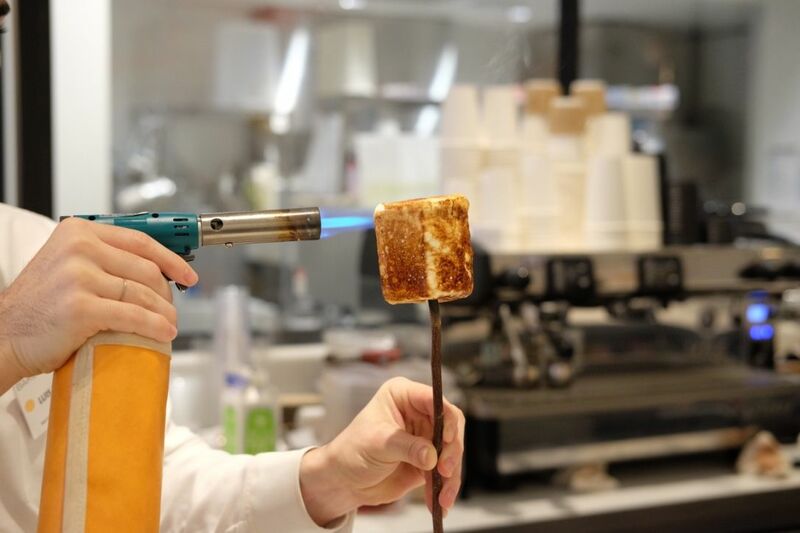 The frozen smore on a smoked wooden branch is torched on the spot, right before your eyes and it's such a treat to see the marshmallow brown slowly. 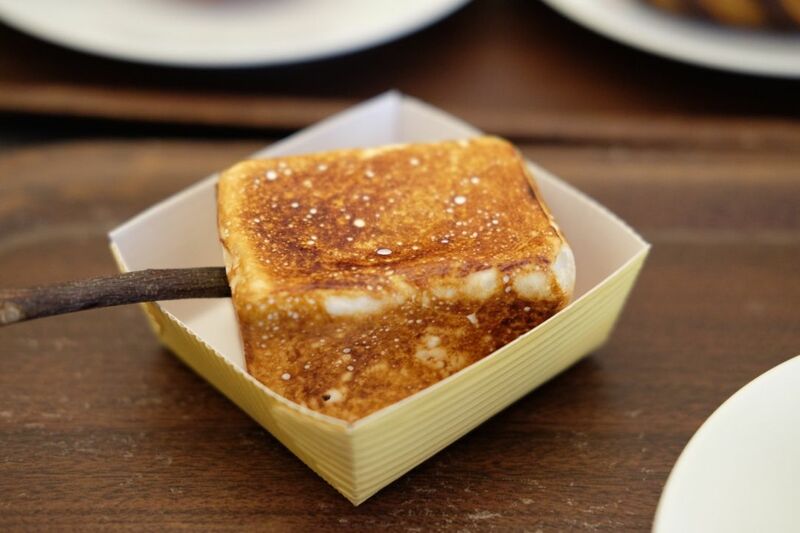 The 100% honey marshmallow envelopes Tahitian vanilla ice cream that is covered with chocolate feuilletine flakes. Some may find it too sweet but for someone, like me, who has a penchant for sweet stuff, this was heaven. The highly anticipated visit to Dominique Ansel was unfortunately, more disappointing than impressive. Perhaps I had unrealistically high hopes but I really expected more, and better. I still want to try the cronuts though!